I personally found it to be a fascinating read, with believable characters, lots of suspense, and enough darkness to sate even a weirdo such as myself. Slowly being consumed by cancer, Jess Parsons is ready to die. Instead, she awakens from a months’ long coma to discover that she’s been cured by an experimental nanotechnology therapy. Instead of celebrating her miraculous recovery, though, she is devastated to learn that her salvation has become the world’s damnation. Everyone who has come into contact with the nanotech has suffered. The lucky ones have died. A handful of survivors are left horribly scarred and traumatized, but otherwise intact. The rest have been driven mad by the so-called cure. The hospital where Jess is recovering is one of the few sanctuaries remaining against the homicidal rage of the Infected. But Jess soon discovers there is no safe haven in this new world. As her body begins to exhibit changes caused by the nanites, she realizes she has a strange connection to the Infected and that she possesses something they want very badly – something they’re willing to obtain at any cost. You just recently released your 3rd novel The Infected. Tell us a little bit about it and why you think people will enjoy it. The Infected starts with the main character, Jess, waking up from a coma. She had been diagnosed with terminal brain cancer but finds out she’s been cured by an experimental nanotechnology treatment developed by her father. While the nanites cured her, they morphed into something that infects everyone else who comes in contact with them, resulting in one of three effects: death via organ failure, immunity via excretion of the nanites through disfiguring skin growths, or psychotic breakdown. 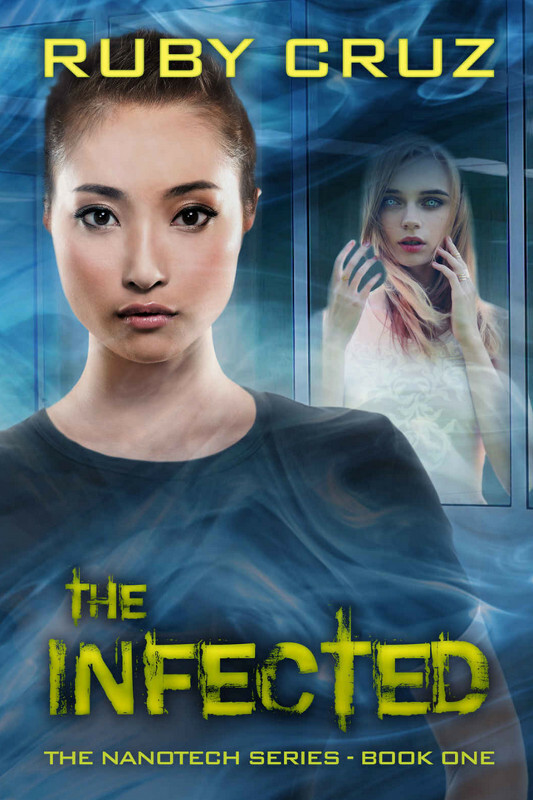 The Infected follows Jess as she slowly discovers what has happened during her coma and her role in finding a cure for the survivors. I think this book has a bit of something for everyone interested in this genre. It has a dystopian feel, but because it’s set only a few months after the “apocalypse”, the world is still somewhat familiar despite the changes that have occurred. In addition to the scientific aspect of the book – which should appeal to all those science nuts out there – it has a bit of romance for those who enjoy reading about character relationships. Finally, for the teen readers, I’m hoping they can identify with Jess and her inner struggles in finding her way through the changed world. Sounds pretty awesome. What sets The Infected apart from other books in its genre? I feel like The Infected is sort of a mash-up from a few different genres. There is a dystopian feel, it has a post-apocalyptic theme. The main protagonist is a teenager so it could appeal to more mature teens. The nanotechnology aspect has some science, and with the introduction of the Roids there is a thriller aspect. As I mentioned before, there’s a bit of something for everyone, even a bit of romance. Which authors do you enjoy / have inspired you. Favorite book from each? Douglas Preston and Lincoln Child are among my favorite authors. I loved their collaborative works of The Relic and Reliquary and the way they incorporated well-researched science with exciting and thought-provoking plots. Marie Lu is another author I admire – I still think about the ending of her Legend series because it was so beautifully written. As much as I love a happy ending, I think the bittersweet endings are the ones that haunt me. The Relic is one of my favorites too. When did you begin writing stories? If you could contact your fledgling author self, is there any advice you’d give her? I wrote a lot short stories in high school. They were written in long hand in composition or spiral notebooks, and I remember passing them around to my classmates who were kind enough to read them and give encouraging feedback. I still have them, although I never re-read them because they really weren’t very good. One of those stories, however, inspired The Infected, so I guess my ideas couldn’t have been completely bad. And to my fledgling author self…the advice I’d give her, and what I still struggle with today, is to maintain focus. I have half a dozen stories I never finished in high school or finished hastily because I never took the time or effort to complete them properly. I’d tell her to keep working at them, to keep writing, and that even though the completed draft may not be what you set out to accomplish, it’s better than having half a dozen unfinished works languishing in a notebook or hard drive. What’s your writing process? Plotter, Pantser, somewhere in between? I’m definitely more of a pantser than a plotter. I almost always know what my beginning and my end are going to be. In fact, I already have the ending written for The Nanotech Series (and, no, I’m not going to tell!). The middle of my novels are somewhat amorphous until I sit down and start writing them. I’ve found that in writing this way, I get myself into a lot of trouble with inconsistencies in the plot, so I’ve had to become somewhat of a plotter during the editing process to compensate for that. Your main character Jess, is she based on anyone you know? If she was a real person, do you think you’d get along with her? Jess isn’t really based on anyone I know other than parts of my own personality. In writing this, I imagined how I would’ve acted if I’d been a teenager faced with death and the end of the world. Because of her traumatic experiences being intubated and feeling trapped, despite saying that she wanted to die, she’s spent so many years fighting to survive she’s become somewhat self-centered. In a lot of ways, she’s still trying to find herself and figure out where she fits into this new world. As for whether I’d get along with her, I think the question is whether she would like me! She’s sort of choosy with the people she gets along with and opens up to and she’s more outspoken than I tend to be myself. I think I’d like her once I got to know her but at first meeting her might be put off by her bluntness. The Infected is kind of a post-apocalyptic techno-thriller - think The Walking Dead, with a serious hardware upgrade. However, you also write romance. Which do you enjoy more? How do such divergent genres mesh inside your head? I grew up watching soap operas with my grandmother. I loved watching all those characters form relationships, however fleeting they may be. And that has translated to my enjoyment of watching people fall in love, either in film, television, or the written word. As I grew up and learned that the world isn’t made up of puppies and rainbows - there are many dark corners and facets within people and in the world - I’ve become more enamored with darker themes and genres. As for which I enjoy writing better, it really depends on my mood and what’s inspiring me at the time. I’ve become enamored with novels that incorporate a darker theme and yet have a bit of romance in them – the light and hope, if you will, that keep the protagonist yearning for something. Even though the romance might not be central to the plot, it is essential to it, e.g., the Divergent or Hunger Games series. In some ways, writing romance is both easier and more difficult than writing The Infected. So many romances retread the same plots and characters. so to write something fresh is difficult. My first novel, First Impressions, a modern adaptation of Pride and Prejudice, was fun to write but not as easy as you would think – I had to try to stay true to Jane Austen’s plot and characters while still finding my own spin on things. My second novel, My Nemesis, was more freeing because it was an original story, but I think I enjoyed writing The Infected the most because I could change the rules as much as I wanted and didn’t need to adhere to anyone else’s expectations but my own. I’ve promised my romance readers a sequel to my first novel. Second Opinions is a continuation of the Lizzy and Dr. Darcy story. This novel will be different from the first one in that the storyline, while using the same characters, will be original rather than a further adaptation of Jane Austen’s work. After that, I’m hoping to dive back into the Nanotech series and finish Book 2 for 2016. I have the beginning already written but, unfortunately, I need to honor my commitment to my romance readers to finish Second Opinions before I work any further on it. And now for a little fun. The world is ending and tomorrow you’ll wake up in the hellish wasteland you crafted for The Infected. You can only take three items from your former life with you into the apocalypse. What are they and why? First thing would be would be a weapon of some type. Since I don’t currently own a gun, I would have to grab the axe from the garage. I couldn’t guarantee that I’d be able to wield it without hurting myself more than my attacker, but it’d be better than nothing. Second thing – my stash of Advil – to ward off those headaches and to barter with. Third thing – would I be cheating if I said I would take my backpack full of survival gear? I have a backpack for camping trips. It contains a water bottle, mess kit, iodine tablets, matches, and first aid kit. I could also use it to carry that axe I want to take with me, as well as my bottle of Advil and anything else I might find useful in my travels. 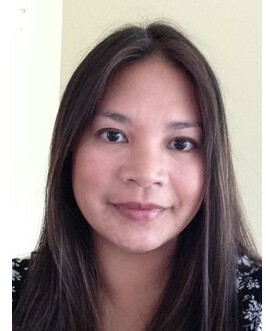 Ruby Cruz has a masters degree in Chemical Biology and worked in the pharmaceutical industry before switching gears and obtaining her bachelors in nursing degree. In addition to her interests in science and healthcare, she's always had a passion for writing, scribbling short stories and novellas into spiral notebooks she would pass to her classmates in high school. More recently, she has refocused her energies to incorporate her love of Jane Austen and her experience in healthcare into her first novel, First Impressions: a modern retelling of Jane Austen's Pride and Prejudice. Ruby is currently writing a sequel to First Impressions as well as developing other projects in the young adult and romance genres. Ruby currently lives in West Virginia and is married to a wonderful husband who begrudgingly tolerates her love of Jane Austen and is the mother to two young girls who graciously allow Mommy to "play on her computer."